Following the financial crisis it became more difficult to obtain construction financing in a number of European jurisdictions, and this also held true for Denmark. Because of the lack of typical project financing from banks, employers and developers have been teaming up with institutional investors in joint ventures and other structures to complete development projects. A number of Danish pension funds are involved in the financing of public-private partnership (PPP) projects and have publicly stated that they are willing to expand their activities in financing and support even large-scale infrastructure work. Prior to the financial crisis, the multinational banks had to a large extent dominated the project finance market in Denmark and the market had become accustomed to a standard project finance package from these lenders. As project financing by banks has returned to the market it is clear that most banks – including local banks – are utilising more detailed documentation than previously, and the Danish project financing package will become even more aligned with international standards. More traditional infrastructure, such as road projects, is most commonly funded by the state or local authorities, and private involvement in the funding and operation of infrastructure is limited in Denmark. By contrast, infrastructure projects such as energy and information technology are dominated by private parties. Institutional investors are generally playing an increasingly central role in project financing and the real estate project financing market is currently largely dominated by institutional investors, which are either driving the development works on their own behalf or directly or indirectly providing the financing through forward-funding structures, forward-purchase arrangements, or actual project-financing loans to the employers. Danish infrastructure is in need of project financing and a number of projects are planned and preliminary studies have been carried out. The efforts of the Danish state to increase investment in infrastructure will heavily influence the market in the coming years. A fund for infrastructure projects was established in 2009 with the expectation of investing more than €12 billion until 2020. While international players are entering Denmark, construction in the country remains dominated by large construction companies based in Denmark, the top four of which in 2016 realised turnovers in the range of approximately €400 million–€1.5 billion;2 however, Per Aarsleff A/S clearly distinguishes itself as the leading company, with an annual turnover in 2016 that was approximately 60 per cent higher than the turnover of runner-up MT Højgaard A/S. Consultant services are also dominated by a few large Denmark-based companies, of which the internationally active Rambøll Group realised an annual turnover in 2016 of €1.4 billion. The Ministry of Climate, Energy and Building in early 2015 appointed a commission to suggest a revised set of agreed documents for use in Denmark (AB92, ABT93 and ABR89). A first draft of the 2018 terms has been made public and is expected to be finalised later in the year. The 2018 terms have – in terms of number provisions – grown significantly. This is partly because of more formalised provisions on claims, design and dispute resolution as well as incorporation of case law. To date, models such as build-operate-transfer (BOT), build-own-operate-transfer (BOOT) and PPP have not played a significant part in the Danish market. Expectations and current trends are, however, indicating that this is about to change. More and more PPP projects are scheduled to commence or be offered to the market and pension funds are showing interest in acting as final owner of PPP projects. A number of municipalities have, over the past few years, teamed up with private or semi-private companies in joint ventures to develop specific projects or even larger areas or projects in cities. Normally, the joint venture company will ultimately own the property and the private party will contribute cash to partly finance the development and construction works. As an example, the municipality of Copenhagen has teamed up with Realdania to develop a new multipurpose arena in Copenhagen. Outside the PPP segment, institutional structures are becoming more and more important and their involvement currently ranges from very active equity ownership to a very passive end-user profile. Transactions will very often be structured around a special purpose vehicle (SPV), which is transferred to the fund either up front or at the end of the project. The most common structure in the market is to place a development project in an SPV structure. A Danish project company will accordingly often be an SPV created solely for the purpose of completing the project. The SPV will, during the life span of the project, be the centre of the project, and enter into and handle all relations with operators, contractors, lenders, authorities, etc., and it will accordingly also very often act as borrower under any project-financing agreements. The project partners will in the relevant agreements determine, inter alia, whether to allow the SPV to receive any income during the project, what to do with cost overruns and how to distribute dividend. The SPV presents an opportunity for the project partners to avoid risking their own balance sheets in a development project. The SPV structure will also help the project sponsors and owners to limit liability. For this reason, multinational sponsors or owners often act through a Danish subsidiary to further limit liability, as in Denmark it takes a lot to pierce the corporate veil. Having said that, and as the SPV normally acts as borrower under the construction facilities, the banks will very often demand that the sponsors or owners wholly or partly guarantee the obligations of the SPV, but even this situation may be more attractive than putting the corporate balance sheet of the sponsor or owner at risk. In Denmark, the role of the contractor is normally limited to acting as the contractor under construction contracts. After the financial crises, few contractors are willing or able to take equity shares in development projects, but it is not uncommon that they have significant incentive programmes in the agreements with the sponsors. Institutional or multinational investors often prefer that contractors have an equity stake in the SPV as the equity ownership aligns the interests of the parties. Prior to the financial crisis, multinational banks had introduced a standard loan package that, when compared with the traditional Danish standard, was very long-winded and closer to a Loan Market Association or UK-type loan agreement. The banking crisis in Denmark and the increased focus on risk management and regulatory issues have resulted in most Danish banks moving their documentation in the same direction; the loan documentation, the list of conditions precedent and the security package seem to get longer and longer. Equally, pension funds are basing their agreements and arrangements with developers and contractors on the same, more detailed documentation. However, compared with international standards, the documentation is still relatively simple. Danish construction law is generally characterised by the parties' freedom of contract. As such, no legislation defines or lays down rules specifically relating to construction contracts. Since Danish construction contracts are largely unregulated by means of legislation, the various stakeholders within the building industry have agreed on a set of general conditions for the provision of works and supplies within building and engineering, known as AB92.3 A similar set of general conditions, known as ABT93,4 exists for design-build contracts and turnkey contracts. AB92 and ABT93 are generally considered balanced to both parties in a construction contract, and the conditions are commonly referred to as 'agreed documents'. Similarly, a set of general conditions for consulting services – known as ABR895 – has been drafted for use between the employer and the employer's technical advisers, regardless of whether they are architects or engineers. All three documents – AB92, ABT93 and ABR896 – must be agreed upon by the parties to enter into force, but they largely consolidate general principles of law set out in case law. The agreed documents are widely used in Denmark across the board from small private construction agreements to major public construction and infrastructure projects. It is, however, common for parties to draft a set of particular conditions in which derogations and additions are added to the agreed documents. In 2010 a set of general terms specifically for consumers acting as employers were adopted (AB Consumer). In Denmark, FIDIC terms are not commonly used, and mainly play a role in relation to large-scale projects where there is a need for international tenderers. Significant risks in project finance transactions and construction contracts in Denmark primarily fall into the categories of time-related risks, cost-related risks, safety-related risks and quality-related risks. Furthermore, risks related to environmental issues are especially important in connection with large projects and such risks are normally assessed by mandatory tests and examinations carried out early in the process. According to both AB92 and ABT93, the parties may assign their rights to the contract sum and to claims against subcontractors and suppliers. If either AB92 or ABT93 has been agreed upon, an employer can put forward a claim directly against a subcontractor or supplier if it has been proved that a claim against the (main) contractor is very difficult. In early 2014 an arbitral decision allowed an employer to bring a direct claim against a sub-consultant without limitation and despite an agreed limitation of liability between the consultant and the sub-consultant. The effect of the decision has not resulted in a general tendency of direct claims, but the situation under Danish law seems to be that a (negligent) party risks being liable without limitation if a claim is made by someone who is not a contractual party. This is expected to change with the upcoming 2018 terms. Measured in terms of the number of conflicts resolved by courts and arbitral tribunals, one of the most frequent risks that the parties fail to avoid is delay. A large number of cases are either related to contractors demanding extension of time (EOT), or employers requiring damages for the contractor's inability to deliver at the agreed time. public orders or bans that were not issued because of the contractor's own situation. The contractor must inform the employer without delay if the contractor considers itself entitled to EOT. Provisions are often made for liquidated damages payable to the employer, and if such provisions are made, no additional damages owing to the delay can be claimed. Even though agreed liquidated damages may (in theory) be disputed, there is no general rule that liquidated damages must be a genuine pre-estimate of loss, but employers must observe the strict case law on notification of liquidated damages, and it is not unusual that liquidated damages on intermediate milestones are rejected by arbitral tribunals. The two predominant ways for the contractor to charge the employer is either by offering to complete the works for a fixed contract price or on a cost reimbursement basis. Even when agreeing on a fixed contract price, the employer is entitled to order variations during the course of the work where the variations are naturally linked to the works agreed upon (see AB92, Clause 14). The contractor is entitled to undertake such variations, unless the employer can prove specific well-founded reasons for not using the contractor, and, failing to do so, the employer is not allowed to engage another contractor. Payment for the variations is made on a cost reimbursement basis unless otherwise agreed by the parties. It is not uncommon for the parties to agree on unit rates and where variations relate to work for which unit rates are agreed, the unit rates will then form the basis of the payment. Payment based on unit rates will, however, only be made within a range of plus or minus 15 per cent of the contract sum and within a range of plus or minus 100 per cent of the individual items in the tender list. When these limits are exceeded, the contractor may claim payment on a cost reimbursement basis. Safety-related risks are present on any construction site, and in Denmark such risks should be mitigated with due care. There are examples of foreign companies in the construction sector not being aware of the strict Danish rules on working environment health and safety legislation, which is not a matter to be taken lightly. The National Board of Industrial Injuries has the authority to shut down a site if the rules are breached and has issued a number of general instructions that are to be observed. Labour unions are relatively active in the construction industry and will not fail to bring attention to employers or contractors that do not comply with safety regulations. Provisions on 'chain liability' seem to be used more frequently by not only public employers, but also private employers. Quality assurance is applied to any large project to avoid small inadequacies turning into major defects or causing damages. Quality assurance continues to be an essential tool for the parties in construction projects to achieve the desired result, be it a non-defective building for the employer, or a successful investment for the project financier. Whereas AB92, ABT93 and ABR89 exclude liability for indirect losses to a large degree, neither AB92 nor ABT93 includes limitation as to the amount of damages. Apart from liquidated damages, which is often capped in larger projects, contractors often face unlimited liability in monetary terms. However, there is a tendency for contractors on larger projects to seek to include overall liability caps. As for consultancy services (ABR89), an overall cap is often agreed upon and this amount often corresponds to the amount covered by the consultant's professional liability insurance. 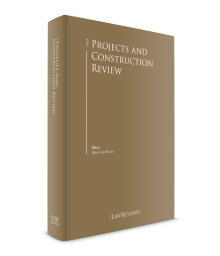 In addition, AB92, ABT93 and ABR89 contain provisions regarding the period during which the contractor or consultant can be made liable for work performed under the contract (generally five years from handover, which includes latent defects). Provisions in the statute of limitations, however, prohibit such clauses from being used in consumer contracts, where the total limitation period is extended to 10 years. In addition to the five-year defects notification period the Danish statute of limitations stipulates that a claim for damages is time-barred three years after the claimant became aware or should have become aware of the event or circumstances giving rise to the claim; this period also applies in consumer contracts. The three-year period is important under AB92, ABT93 or ABR89, as, in regards to the defects notification period, a simple notice may suffice, whereas the three-year period in the statute of limitations requires that legal proceedings are instituted. One important exception to the parties' freedom of contract is that an exclusion of liability will usually be set aside if liability is incurred by gross negligence or intent. A contractor or consultant who is liable for an action characterised as gross neglect cannot rely on a clause that limits liability. Finally, AB92 and ABT93 have special notice provisions regarding civil engineering works (e.g., road and railway construction) that differ from those regarding building works. Where the general rule for construction works is that the employer must give notice within five years of handing over, no such rule exists for the aforementioned civil engineering works. This means that the statute of limitations governs the matter, giving the employer an overall 10-year time limit to put forward its claim. Reports made on political risks rate Denmark as a country with very low political risks. Surveys indicate that no political decisions with adverse effects on multinationals' profits are in the process of being made. Incidents involving politically motivated damage to projects or installations are very rare in Denmark. In 2017, Transparency International ranked Denmark in second place as a country where the public sector is perceived to be the least corrupt in the world. A standard project financing package today consists of a long-form loan agreement, which is typically mortgage-backed and with a pledge of shares of the SPV, negative pledges, assignments (VAT, rent, insurance, etc. ), guarantees from the beneficial owner, etc. Moreover, the bank or partner will often appoint a project monitor who participates throughout the project and advises the bank or partner on all aspects of the project and who reviews progress reports, etc., prior to release of funds to the contractor. AB92 and ABT93 both oblige the contractor to issue a performance bond. The bond may be in the form of a guarantee from a bank or other adequate types of security. Parent company guarantees do not suffice. The purpose of the bond is to cover all claims that the employer may have under the contract (including liquidated damages). Until handover of the work, the bond must correspond to 15 per cent of the contract price; after handover, it must correspond to 10 per cent, and one year after handover will be further reduced to 2 per cent of the contract sum unless a claim has been put forward in writing by the employer. The bond will cease five years after handover unless a claim has been put forward in writing by the employer, in which case the bond will cease only when the rectification has been effected. While the performance bond is made as an on-demand bond, both the contractor and the guarantor may ask for a third-party opinion, which will then stall payment. AB92 and ABT93 contain provisions for the employer to issue a performance bond, but only if the contractor so requires. The bond must correspond to the average payment for a three-month period, but with a minimum of 10 per cent of the contract price, so calculated that the contract sum is divided evenly over the number of months stipulated in the contract for the performance of the work. The purpose of the bond is to cover all claims that the contractor may have under the contract, including claims related to variations. Under AB92 and ABT93 only private employers can be requested to issue a performance bond by their contractors and it is also common that private employers seek not to issue performance bonds by excluding the relevant part of AB92 and ABT93. While the performance bond is made as an on-demand bond, both the employer and the guarantor may ask for a third-party opinion, which will then stall payment. According to AB92 and ABT93, the employer must take out fire and storm insurance that must provide cover for the work of all contractors under the contract. For renovation projects, the insurance must cover damage to the work and the building or engineering work on which alterations or additions are being made. At the request of the contractor, the contractor and any subcontractor may be included as insured under the employer's insurance policy. Contractors and subcontractors are not required by law to take out liability insurance, but if either AB92 or ABT93 is agreed upon, the contractor and subcontractor must do so in relation to injury or damage for which they may incur liability under the general principles of tort law. It is common for the construction contract to include terms that require the employer to take out all-risk insurance, and that the contractors are co-insured under the policy. Consultants are not required by law to take out liability insurance, but it is a requirement to do so for consultants that are members of one of the two professional organisations for engineers and architects in Denmark: FRI and Danske Ark. In effect, most consultants have thus taken out liability insurance. Outside the context of bankruptcy proceedings, the most effective way for a project lender with security in real estate, cars or any other property to enforce its right and to secure the collateral is to force a sale. In regard to bankruptcy proceedings, Denmark adopted new rules in 2011 supplementing ordinary bankruptcy proceedings and making it possible to restructure a distressed company. Both the debtor and the creditor may submit a petition for restructuring proceedings. When restructuring proceedings have been commenced, they cannot be withdrawn. This means that the proceedings will end with the debtor either obtaining a compulsory composition arrangement or bankruptcy proceedings being commenced against the debtor's estate, either in combination with a complete business transfer or as a consequence of unsuccessful restructuring. In both bankruptcy proceedings and restructuring proceedings, control over the estate is taken from the debtor after a decree has been issued by the court and control is transferred to a court-appointed administrator or trustee. The estate will publish a notice convening the creditors, and limiting claims not lodged within a certain time and may in certain cases continue the contract or even 'annul' a termination. The Danish Bankruptcy Act contains rules on the priority of bankruptcy claims (the sequence in which claims against the bankrupt estate are covered). Claims secured by mortgage or other types of security will be fully covered, provided that the value of the mortgage asset is sufficient and that the pledging of the asset cannot be set aside. Public authorities in Denmark are in practice excluded from bankruptcy proceedings, but limited liability companies owned by the Danish state are not. The Danish population is one of those most prepared to pay more for products and services from companies that are socially or environmentally responsible. This is also reflected in the legislation in Denmark, where several environmental and energy requirements are systematically imposed on households as well as on businesses, both foreign and domestic. Certain reimbursement schemes and subsidy measures exist, however, for the purpose of reducing the costs for companies, thereby safeguarding Danish competitiveness. Together with local authorities, the state lays down the rules for land development to ensure that the overall planning synthesises the interests of society with respect to land use and contributes to protecting nature and the environment. This means that most construction works have to be approved by the authorities. The Danish financial institute EKF7 and a limited number of banks and credit institutes have adopted the Equator Principles. Financial institutions are generally not held liable for project financing, but in principle it is possible that a financial institution may be found liable if it involves itself deeply in the project. Financial institutions may also be held liable for inadequate advice to lenders on the form of the financing. Denmark has implemented the EU Money Laundering Directive, which means that a number of measures are to be taken by financial institutions and certain non-financial corporations in relations to their customers. In 2012 the Danish Competition and Consumer Authority published a report on the experiences from the 13 PPP projects carried out in Denmark. The conclusions regarding the economic benefits achieved and the quality of the projects are largely positive. However, to date, experience in this field is limited. Notably, from an international perspective, the PPP projects carried out in Denmark are quite small in terms of budget, and the majority of the projects are for the construction of buildings such as schools and courthouses. Neither the Danish Tender Act nor the Public Procurement Directive includes specific rules regarding construction projects realised as PPP projects. There are, however, rules issued as a statutory order for public authorities to consider whether PPP is a viable option in every single project planned. The added focus and the political desire to promote PPP has led the Danish Competition and Consumer Authority to prepare three standard contracts, as well as standard PPP models (including guidelines) for both new projects and renovation projects, for parties to use in future PPP projects. In 2014, the National Audit Office of Denmark criticised the government for not promoting sufficiently alternative models, such as PPP or BOT, in which there is a focus on considering all of the economic implications over the lifetime of the construction. Directives No. 2014/24/EU (the Public Procurement Directive), No. 2014/25/EU (the Utilities Directive) and No. 2014/23/EU (the Concessions Directive) (collectively the EU Procurement Directives) have been implemented into Danish law and consequently apply to all public contracts with a value exceeding the Directive thresholds. This, inter alia, means that public works (construction, etc.) must be publicly tendered if the net value of value added tax (VAT) exceeds €5.548 million, irrespective of whether the Public Procurement Directive or the Utilities Directive apply. Contracts for goods or services (except for so-called social and other specific services) must be publicly tendered if the value exceeds either €144,000 (state authorities covered by the Public Procurement Directive), €221,000 (municipal or regional authorities covered by the Public Procurement Directive), or €443,000 (contracting entities covered by the Utilities Directive). The threshold values for social and other specific services are €750,000 for contracts covered by the Public Procurement Directive and €1 million for contracts covered by the Utilities Directive. Pursuant to the Concessions Directive, the threshold for all works or services concessions is €5.548 million. In principle, the Danish Tender Act applies to all works contracts of lesser value, although it is possible to award a works contract directly if its value does not exceed 3 million Danish kroner. Contracts for goods and services are covered by the Danish Public Procurement Act if the value of the contract exceeds 500,000 Danish kroner. The rules and procedures prescribed in the EU Procurement Directives and the Danish Public Procurement Act promote principles such as more efficient use of resources, effective competition, equal treatment, transparency, non-discrimination and proportionality. Contracts covered by the EU Procurement Directives must be announced in the EU Tenders Electronic Daily. These procedures ensure that all invitations for tender are announced correctly and that all possible suppliers and contractors are informed of the procurement process. If a dispute arises in respect of the procurement rules (e.g., if the wrong contractor has been awarded the contract or if the employer has set aside rules in the EU Procurement Directives or the Danish Public Procurement Act), a complaint may be lodged with the Danish Complaints Board for Public Procurement. The Complaints Board has the authority to award damages, cancel the award decision (which will generally require the contracting entity to terminate the contract), and, in certain specific situations, declare the contract ineffective and either order the contracting entity to terminate the contract or impose an economic sanction on the contracting authority, or both. The Complaints Board may also decide that a complaint is to have suspensory effect on the procurement procedure until the matter has been settled. It is also possible to contest a public procurement procedure before the Danish courts, but since the Complaints Board is highly specialised in public procurement law and generally offers quicker procedures than the courts, it is generally advisable to lodge complaints with the Complaints Board. Denmark is generally considered to be an investor-friendly environment for foreign investors. A number of international surveys place Denmark high in the areas important to companies interested in entering into project finance transactions and construction projects in Denmark. Denmark has been ranked the third-easiest place in the world, and the easiest place in Europe, to do business in the World Bank 'Doing Business' index for 2017, which shows how the regulatory environment is more conducive to the start-up and operation of a local firm. Similar studies by Forbes Magazine, The Economist and Goldman Sachs in 2012 and 2013 reached comparable results. Denmark has a very flexible labour market compared with the markets that many foreign investors are used to. According to the IMD World Competitiveness Report 2010, Denmark offers the highest labour market flexibility in Europe. Scaling a business up or down can take place more smoothly in Denmark than in most places in Europe. Generally speaking, the employer can freely choose whom to dismiss, as long as the dismissal is justified. There are no obligations to re-employ previous employees, as in some other jurisdictions. This flexibility is balanced by most employees having private and state-funded insurance against unemployment, securing two years of pay in the case of unemployment – a model known as the 'flexicurity model'. Even though labour unions are relatively 'strong' in Denmark, general or large-scale strikes are rare. Setting up a business in Denmark can happen quickly and cost-efficiently. The most commonly used limited liability companies – A/S and ApS – can be incorporated and ready to operate within a few hours by using an online electronic registration system provided by the Danish Business Authority. The required share capital for an A/S company is €67,000, whereas the required capital for an ApS company is €6,500. In 2014, a new type of company with limited liability – the IVS – was introduced. This new type of company has a required capital of €1, and thus is effectively free to set up. Some additional restrictions apply to an IVS, requiring any surplus to be used to build up capital in the company to €6,500 before any is paid to the owners as dividend. One notable rule for foreign citizens setting up a business in Denmark, which is stipulated in the Act on the Acquisition of Real Estate, is that only Danish citizens or people who have lived in Denmark for five years may acquire real estate. A number of exceptions mean that in practice this has very limited effects on foreign companies setting up business in Denmark. The most important exception is that a foreign company operating by setting up a Danish company can acquire real estate through that Danish company. Furthermore, the rules do not apply to EU citizens who have moved to Denmark. One rule from the Act that continues to be debated is a ban on foreign citizens buying holiday cottages in Denmark. In recent years, the rule has been increasingly debated, as it is perceived as preventing investment in Denmark, by Germans in particular – investments that are assumed to have positive effects on the general economy because of expected 'spillovers' in the construction sector. Apart from the foregoing restrictions on real estate, ownership restrictions are generally rare. Ownership restrictions apply, however, in a few sectors such as hydrocarbon exploration, arms production and ownership of aircraft and ships. Denmark has concluded bilateral investment treaties providing protection for investments with 54 countries of which 46 are in force and eight await ratification. The majority of these treaties favour International Centre for Settlement of Investment Disputes (ICSID) arbitration, but it is often left to the investor to choose between alternative forums such as ad hoc arbitration under UNCITRAL rules, the ICC, the Stockholm Chamber of Commerce, the Cairo Regional Centre for International Commercial Arbitration and a number of other institutes. In general, Danish bilateral investment treaties (BITs) are quite different on a number of subjects. Therefore, an international investor investing in Denmark who is aware of these rules and wishes to make its investment through a country with an investor-friendly BIT must carry out extensive research into the Danish BITs to determine whether preferred forums, etc. are available under a particular BIT. Denmark is a member of the Multilateral Investment Guarantee Agency, but no policies have yet been taken out for projects in Denmark. The euro is not used in Denmark, but the country pursues a fixed exchange rate policy with the Danish krone, linked closely to the euro. The Danish krone has a fluctuation band of plus or minus 2.25 per cent of the central rate of 746.038 Danish kroner per €100. There are no restrictions on converting to or from Danish currency; neither are there any restrictions on the transfer of funds when investing into or out of Denmark. As an anti-money laundering measure, any person leaving or entering Denmark with more than €10,000 in cash must report this fact to customs. No specific courts or arbitral tribunals deal with project finance transactions, and if no particular dispute regulation mechanisms are agreed to by the parties, conflicts arising from such transactions are accordingly handled by the ordinary courts. Denmark has opted out of cooperation with the rest of the EU in the field of justice and home affairs. To mitigate the effects of Denmark's solitary approach, parallel agreements have been concluded between Denmark and other EU Member States regarding two of the most commercially important regulations – the Brussels I Regulation (on recognition and enforcement of foreign decisions) and the Regulation on the Service of Documents. In other areas, Danish legislation differs with that of the rest of the EU. One example of this is the Rome I Regulation (regarding choice of law in contractual matters), which does not apply in Denmark; the old Rome Convention from 1980 applies instead. Even though observers had expected that the Danish reservation on these matters would be abandoned or at least reduced to a less extensive version, this was turned down at a public referendum in December 2015. Since 2005 the Danish Arbitration Act has to a wide extent been based on the 1985 UNCITRAL Model Law and accordingly follows internationally recognised principles of arbitration. In practice, the only two permanent arbitration institutes in Denmark are the Danish Institute of Arbitration8 and the Danish Building and Construction Arbitration Board.9 The latter handles the vast majority of construction disputes in Denmark because of its inclusion in the agreed documents most commonly used in construction contracts (AB92, ABT93 and ABR89). Arbitration before the Danish Building and Construction Arbitration Board is conducted in Danish and the arbitrators are not appointed by the parties but by the Board. Under the Danish Building and Construction Arbitration Board a special mechanism exists in relation to disputes on payments and guarantees. In such cases, the dispute may be referred to a technical expert rather than being tried or processed before a traditional arbitral tribunal. The opinion of the technical expert can, however, subsequently be challenged in arbitration proceedings. The Danish Institute of Arbitration has a set of rules for mediation. If the dispute is settled, the parties can request that the settlement is confirmed in the form of a final arbitral award on agreed terms, which means that the settlement may be enforceable in the ordinary courts to the same extent as any other arbitral award. Denmark is a member of the ICSID and has adopted the New York Convention. Thus, international arbitral awards, including those in investment disputes, are binding and enforceable in Denmark. As a member of the EU, Denmark is comparable with most other EU Member States in terms of legislation and regulation. Although the sets of general conditions – AB92, ABT93 and ABR89 – have been drawn up exclusively for Denmark, they should hold only a few surprises for those used to doing business in continental Europe. When it comes to financing, Denmark is yet to adopt PPPs on a larger scale, but there are signs that it will do so. The traditional view that infrastructure and public buildings are solely state or municipal projects without private financing may be changing. At a time when public spending is continuously on the agenda, large pension funds and other private companies are expected to take part in the financing of projects formerly seen as public projects. 1 Peter Wengler-Jørgensen is a partner and Maygan Mike Lundgaarde is a senior attorney at Plesner Law Firm. 2 According to Hvem Er Hvem I Byggeriets Top 2017 published by Licitationen – Byggeriets Dagblad and Building Supply. 3 General Conditions for the Provision of Works and Supplies within Building and Engineering. 4 General Conditions for Turnkey Contracts. 5 General Conditions for Consulting Services. 6 All available in English at www.voldgift.dk. 7 Denmark's export credit agency. 8 www.voldgiftsinstituttet.dk (English, German, French, Russian and Chinese versions of the rules are available).